Yes, everyone is tired of it at this point, but with no resolution in sight, the President's government shutdown interminably drags on like the end of Return of the King. It's disappointing to watch, despite the way people across the country have come together to help furloughed workers who have gone weeks and weeks without pay. Since the shutdown started, restaurants, mostly independent with budgets dwarfed by national chains, have graciously offered free meals to ease the burden the government has placed on their communities. Now, White Castle is offering up a little relief to furloughed workers across the country as well. On January 29, furloughed federal employees can stop into any of the nation's nearly 400 White Castle locations for a free Combo Meal (only #1-6) or Breakfast Combo Meal. Additionally, the home of sliders is proposing the "first-ever Slider Summit," it announced in a release. The chain offered to cater a bipartisan gathering of government leaders in Washington to facilitate discussions about the shutdown. The company has offered to drive its Crave Mobile food truck more than 300 miles to the capital to host the discussion. While there are some seriously wealthy individuals in Congress and the White House, we do know that many love some good ol' American fast food. 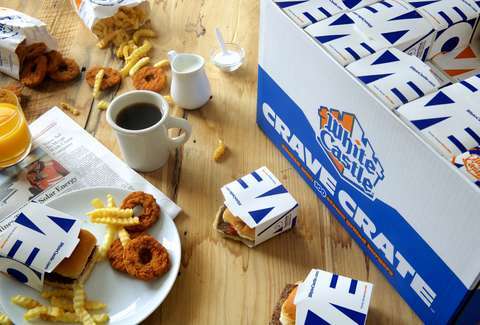 "At White Castle, we’ve been connecting food lovers since we served the first slider in 1921, so we know a thing or two about bringing people together around a common table," Jamie Richardson, White Castle's vice president, said in a statement. Free meals are a great gesture, no matter where they're coming from, but reopening the government would be an even better gift for the around 800,000 furloughed government employees and countless others who have had services cut across the country.